What an INCREDIBLE first day at the The British Style Collective 💓. I thought I would squeeze in a post to share with you some of the things that I got up to yesterday and was able to capture. So yesterday I sat on two panels where I spoke about breaking into the wonderful world of blogging! 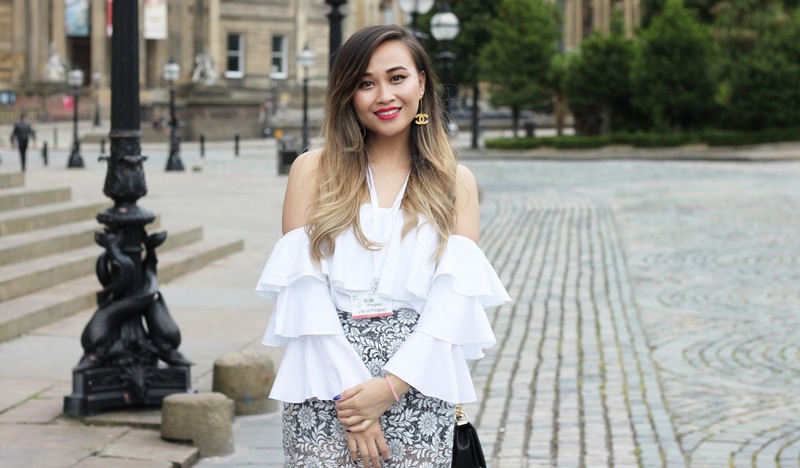 I was surrounded by some of the finest bloggers within the community as well as being sat in the #FROW with the most influential fashion leaders in the industry! And to top it all off, I made it onto the 6pm BBC NEWS! Check out the BBC Interview here – where I mention some key summer trends and you can see some neat footage from what is ‘Europe’s biggest runway event’ ! With the gorgeous Emma & Megan of Pages By Megan! Stay tuned for more in-depth blog posts following on from yesterday and make sure to follow me on Instagram and Insta stories where I will showcasing more of what The British Style Collective has to offer this weekend 💛.